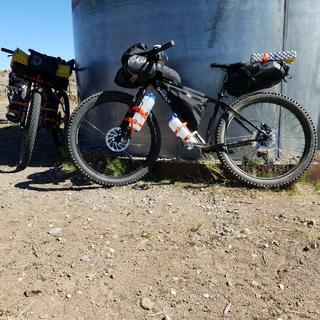 Easy access to snacks, camera, phone, or anything else while remaining in the saddle is a huge time saver and convenience when out on a long haul type of ride. The Snack Pack is a versatile bag suited just for that purpose. Attach it to your stem or seatpost. It is fully padded, sturdy, and easy to get in and out of while on the move. 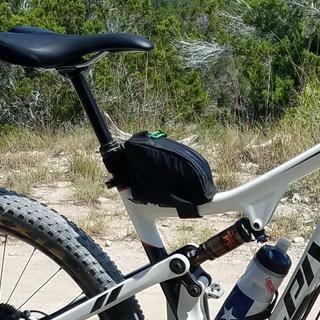 The Snack Pack Top Tube Bag pairs best with a Oveja Negra Front Loader and Lunchbox for a complete front gear carrying system. I bought the angled version of this bag and I'm very pleased with the way it fits to my frame. 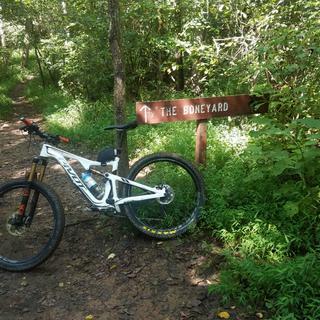 I bought a yt Capra last year and there isn't much room on the frame for bags or bottle cages. I'm trying to get some weight off my back so this worked out very well. The bag is very well constructed and fits a surprising amount of tools and a tube in such a small bag. One thing I wish it had would be net pockets on the inside for small things. The large pack is a great way to carry additional food, phone, tightly stuffed jacket, or whatever you want to add for a long day on the road/trail. Easy to install and stays put. The waterproof zipper is a great addition, considering that the bag sits directly under sweat dripping from your brow. The only drawback is that when you come to a stop, there isn't much room to stand over the top bar. This will of course be dependent on your frame geometry, and is this issue is not specific to this top bar bag. 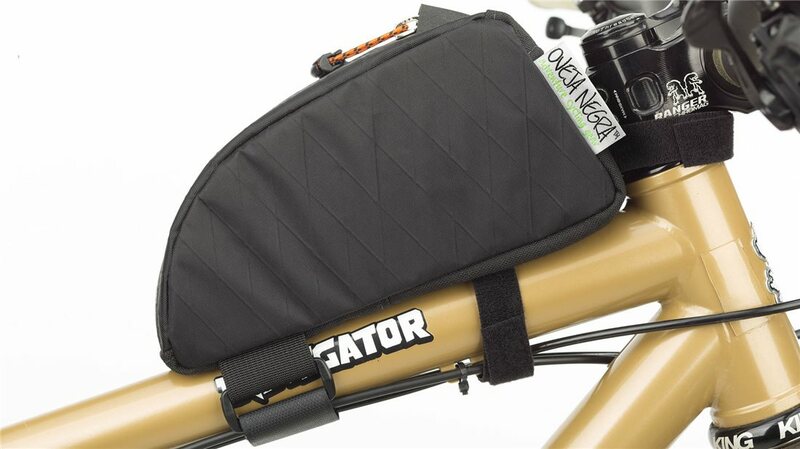 Best bag for those with a dropper post. It doesn't hinder the post and looks cool too! Perfect size for some snacks and some tools on my medium frame. It stays in position fine and can be opened one handed. Can't wait to get the small one for my seat post. High quality bag. Large enough for iPhone 7 , tool, co2, and snack. I purchased this bag for my gravel bike, as I like to do longer rides, and need to carry more nutrition. The bag is well crafted and feels bulletproof! 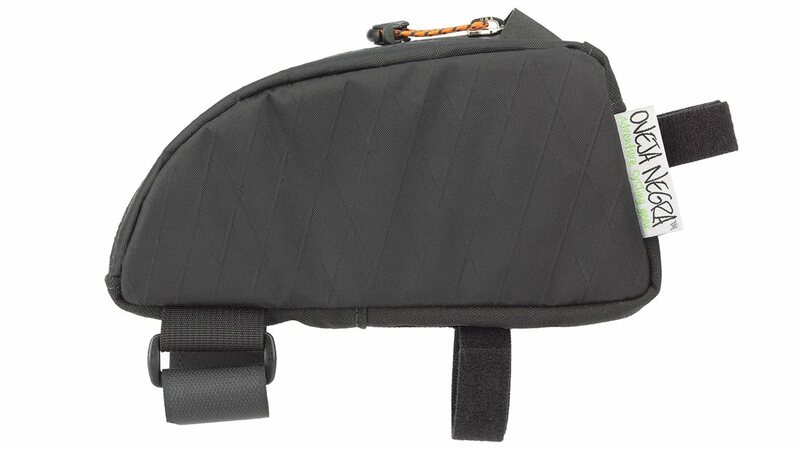 I like the zipper design as it's easy to open and close with one hand while riding. A great product made in the USA. 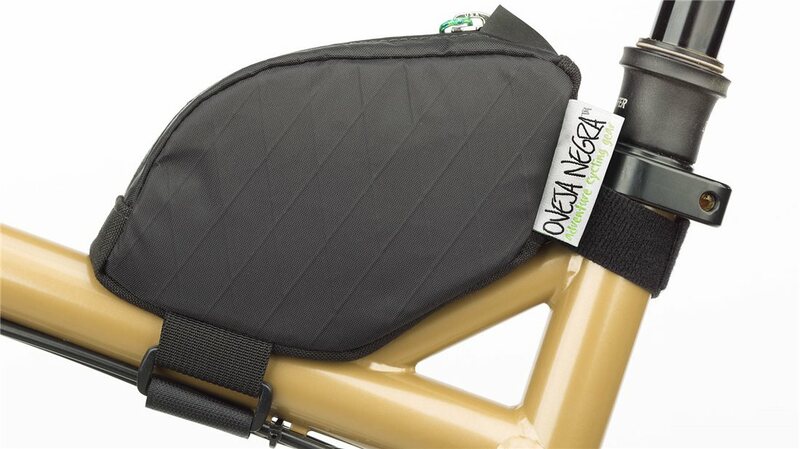 This top tube bag seems to be made of high quality material and secures really well to the frame. It fits a tube, levers, patches, and 2 20g CO2s cartridges. They have this model and one for frames with an angle called small angle. I bought and love both. Great addition to gear...more on the bike, less on the body! Great top tubr bag. 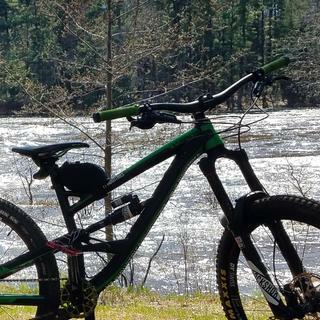 I got the extra large and it can hold a spare 29er tube, multi tool, small first aid kit, Galaxy S8, tire lever, and protein bar. Doesn't move after being securely attached. The pack was picked out because my wife rides a small frame bike and she wanted it to put her IPhone 5 in it while riding. The pack fit well on her small frame bike and appears to be well made. We are returning it however because it was so small that her phone would not fit in it. This pack will only fit a set of keys and maybe two small size snacks is all. Fits on the bike great. Doesn’t move around at all and appears to be high quality. Holds my levers, patches, c02 cartridges and a few small tools. Fit my Samsung Galaxy 7, headlamp, snacks and sunscreen. Not a huge pack but a good size for odds and ends. Was solid and attached to the frame with a frame bag, handle bar roll, and bottle bag already mounted. Easy instal but make sure to roll velcro all the way around the top tube. The straps are extra long and will rub if not properly tucked in. Easy pull zipper to grab when riding. Keep things dry in rain but did bag my phone just in case. As good as any out there. Great price. Jenson is a great outfit to buy from and shipping is fast. 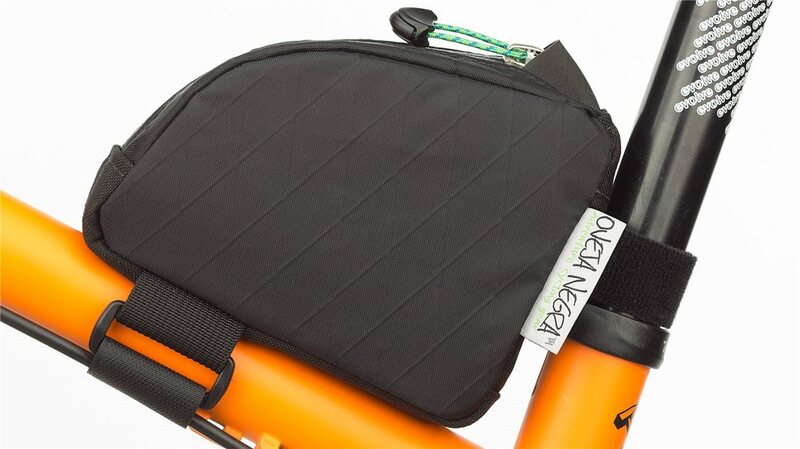 I love this bag, particularly because of the fact you can move the Velcro straps to different areas according to your bike's geometry to get the best fit. The bag is large enough for all the essentials too. You can't go wrong. I got the small angled bag and I can't fit my Galaxy S7 in it if that helps at all.